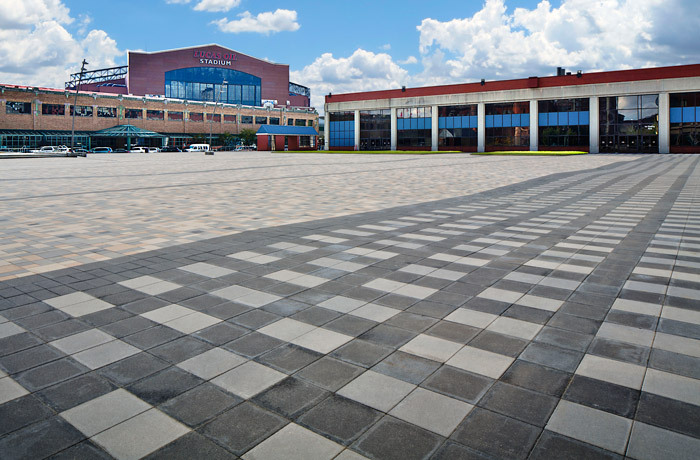 The following are examples of some popular commercial paver patterns. Typically there is a look or feel that you want to express in an area, and there is nothing better to help with that than the laying pattern of the pavement surface. Stack or running bonds patterns create a structural elegance; enlarged herringbone patterns can utilize a lot of different shapes’ and block patterns mask the repeat layout, creating a random appearance plus providing increased interlock (necessary for vehicular applications). 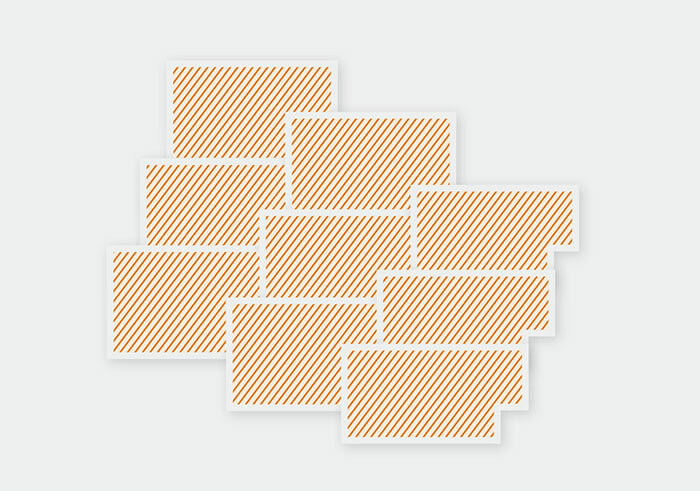 Start off by selecting the general shape that best fits your intent, or create your own unique repeatable pattern such as the one shown adjacent. Make sure the general shape is repeatable before proceeding. 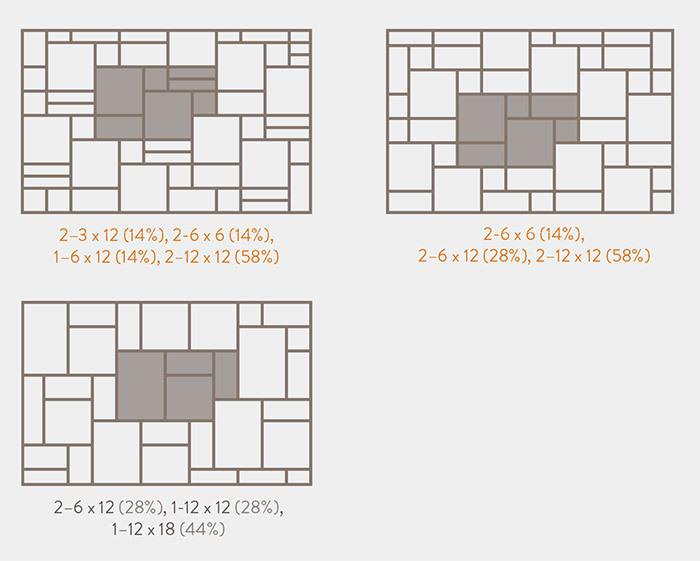 Now select the scale of the pattern, keeping in mind (A) the size of the area - larger patterns can be used in larger areas, and (B) the application. For vehicular applications, it is also important to keep lines less than 4 feet in length to provide proper interlock. 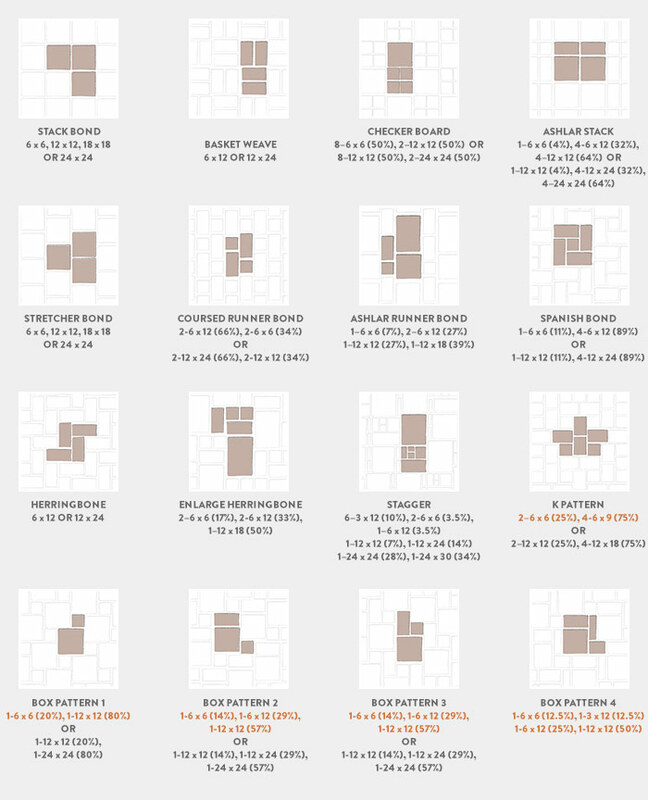 Once you have decided on the scale of the laying pattern, it is time to fill the shape. The following are examples of the previous pattern with different sized pieces - note that even slight changes in the pieces used can alters the appearance dramatically. Adding colors, textures, and borders is where the true versatility is realized. The available concrete paver design options are only limited by your own imagination. Belgard's Moduline and Aqualine series were developed to create the ultimate in paver design pattern versatility. All units are based on imperial 3-inch or 4-inch dimensional increments and have a raster / footprint that is exactly as specified, allowing all series pieces to fit together as intended. Add to this the various aesthetic elements - including colors and textures - that are available to create unique paving patterns, accents, highlights and borders - the paver design possibilities are truly endless. 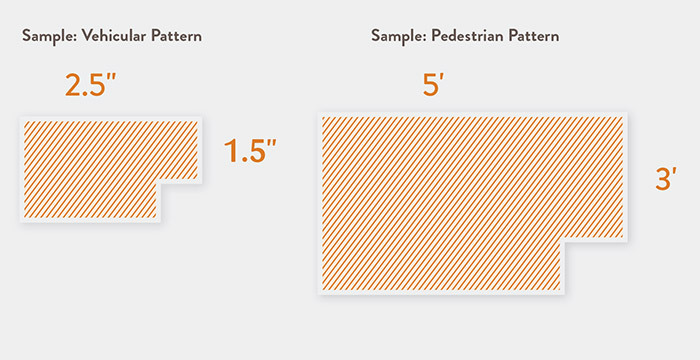 NOTE: What makes a pattern acceptable for vehicular applications is a combination of (A) the pattern has a high degree of interlock, and (B) the sizes involved match the available vehicular products.